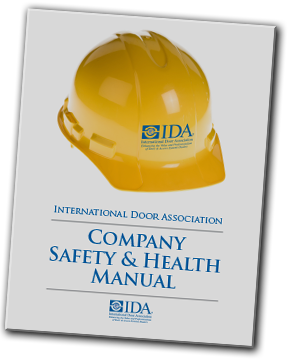 The Company Safety and Health Manual is published by the IDA as a service to members. The information contained in this manual has been reviewed by IDA and Safran Law Offices in August 2016, and is furnished as a template for members to utilize and supplement as appropriate for their individual needs. A new feature of the manual is that it can be customized for an individual company. The Manual is not offered or intended as legal advice. Many of the items included in this manual are URLs to government websites, and those links have been updated with this most recent review. Members should review the contents of the Manual carefully, and determine whether any of the materials are or are not appropriate for their particular business needs. If you have any legal questions or concerns, you should consult an attorney licensed in your jurisdiction. The Manual is available to members to download and print by clicking here.